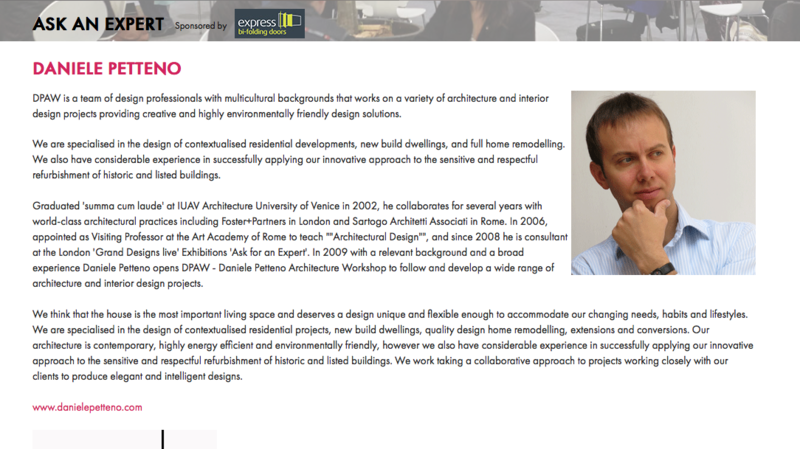 Since 2008 Daniele Petteno is RIBA consultant for the sessions ‘Ask an Expert’ at London ‘Grand Design Live’. 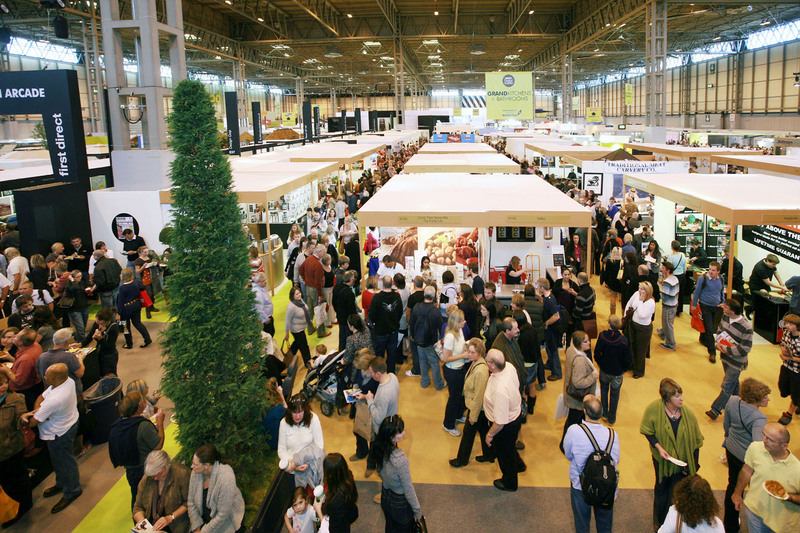 ‘The Grand Design Live’ is the annual exhibition that takes place at Excel exhibition and conference centre, in London Docklands. Located in the heart of Grand Build, Ask An Expert offers a unique service designed to answer all of your project and self-build questions. There are representatives from every field including financing your project, project management, technology and advice from RIBA Chartered Architects and Chartered Architectural Technologists. Click HERE to book Daniele Petteno. 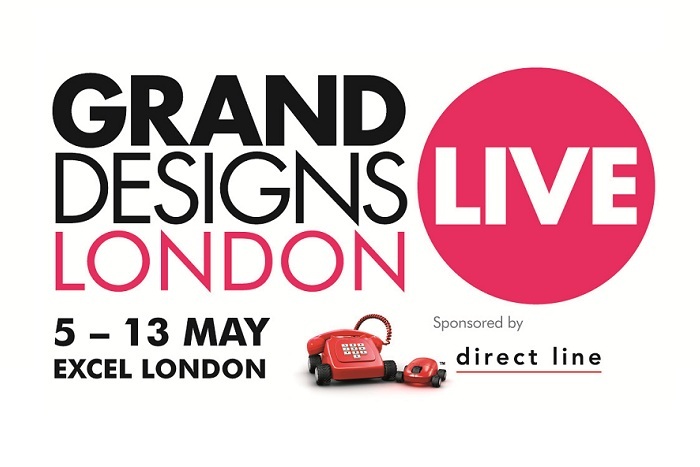 Grand Design Live – the Annual Exhibition at ‘Excel’, London. Posted in Architecture London News and tagged with architecture DPAW Grand Design .